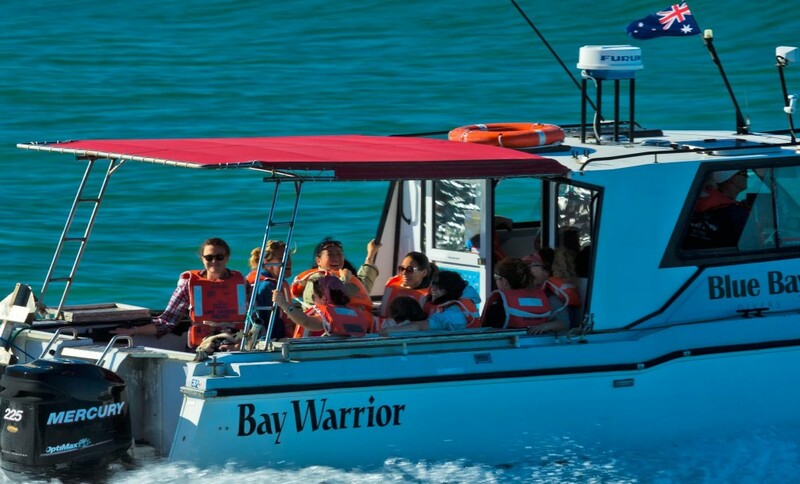 “Bay Warrior” is the only whale watching boat in the Byron Bay area that offers the comfort of a full size cabin and toilet as well as on open deck. It takes a maximum of 12 passengers. Our spacious viewing deck is safe, stable and sheltered from sun and rain for your convenience. Our upper front deck offers 360 degree viewing perfect for photo- and videography. Seats are provided inside and outside. “Bay Warrior” is an 8.5m Cougar Cat, purpose built for stability and comfort. The Cougar Cat design is recognised worldwide for its superior sea keeping performance and outstanding lateral and vertical stability. With its fibre glass body and its twin 250 horsepower motors, “Bay Warrior” has a comfortable cruising speed of 20 knots. It masters bar and ocean equally with ease and provides a safe and stable cruise for our customers. Its spacious dry cabin and toilet make the trip just that extra bit more comfortable for young and old. “Bay Warrior” is moored at our private jetty in the Brunswick Heads Boat Harbour all year round. Customers can step onto the boat from the jetty which makes for safe and easy access for all ages. 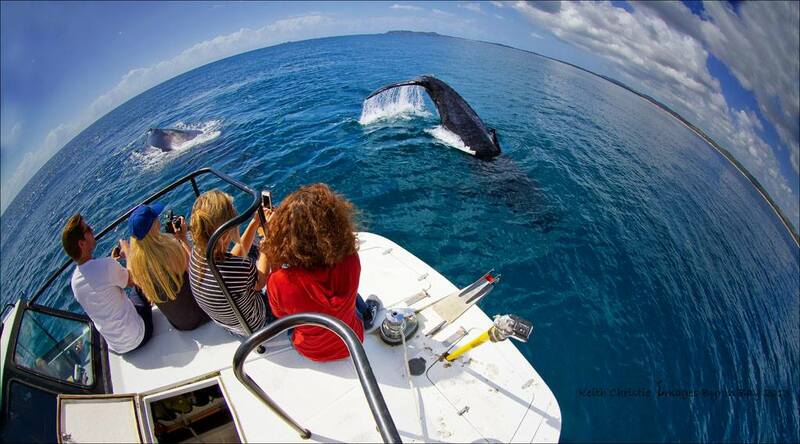 Let us welcome you onboard Byron Bay’s most comfortable whale watching vessel. 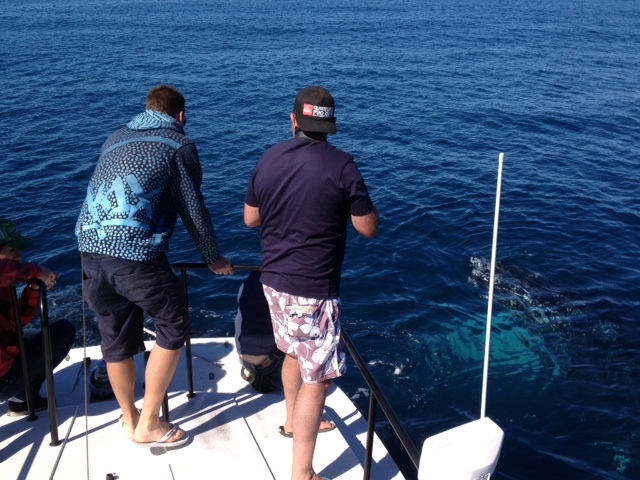 Enjoy the smooth ride as we take you through the Cape Byron Marine Park to enjoy your whale watching adventure!